Last week was Chattanooga’s Craft Beer Week. Several local restaurants and breweries celebrated with craft beer specials and new brews for the week. It was a beer aficionado’s dream and a perfect chance for newbies to explore and find their tastes. 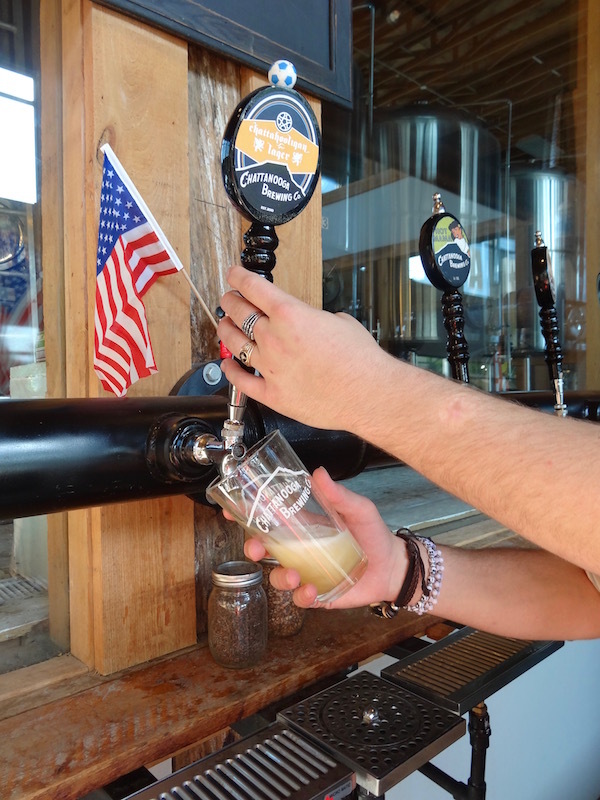 You may not guess, but Chattanooga is a hot spot for great craft beer. For Craft Beer Week, I teamed up with The House, a new app in Chattanooga that partners with local restaurants to curate the best food and drink deals around town. Users can get exclusive offers for some of the best spots in town and reserve a table for them and their friends, before the offer expires. Exclusive offers are based on table availability, so you won’t have to wait for a table. In addition to exclusive offers, The House shares daily specials that are open to anyone who goes to a restaurant. I’m somewhere between a beer newbie and aficionado. I know what I like and can drink, and I’m willing to explore different ales, pilsners, witbiers and lagers. IPAs aren’t really my style, nor are stouts or sours. Fortunately, I found my happy medium between comfort and exploration during Craft Beer Week. 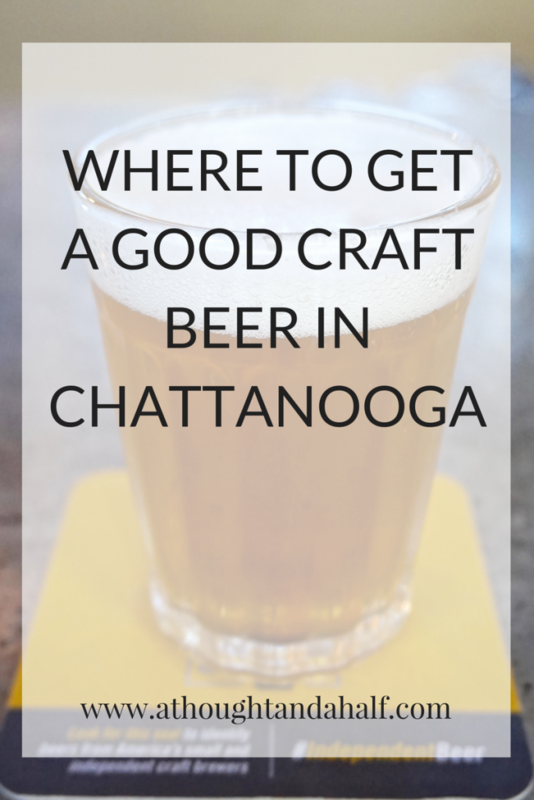 Here are some of the best spots for a craft beer in Chattanooga! Chattanooga has several breweries in town, and we also have our fair share of restaurants with plenty of taps. Another awesome thing about the Chattanooga craft beer scene is that many restaurants serve local brews on their taps, so you can get a lot of your favorite local brews outside of their home breweries. Chattanooga Brewing Company // I spend a lot of time here, especially from April through August. It’s the official bar for Chattanooga FC and has great trivia on Wednesday nights. In addition to several regular brews (the Chestnut Street Brown Ale is my personal favorite), CBC has lots of rotating seasonal beers and other special brews. Nothing beats the Chattahooligan Lager, available only during CFC season, especially after a win. Their Tri Star Pale Ale is also fantastic. FEED Co. Table & Tavern // While FEED doesn’t brew their own, they have 18 taps and a huge selection of canned and bottled beer that will meet anyone’s beer needs. They display their unused tap handles up on the ceiling on the tavern side, so you can see what may come later in the year. Community Pie // Again, not a brewery, but 40 taps covers just about any beer you could want at any given time. Community Pie has any of your beer desires covered, from domestic drafts to local craft brews. Stop by during Happy Hour from 3-6pm Monday through Friday and get a mug of beer for the price of a pint. 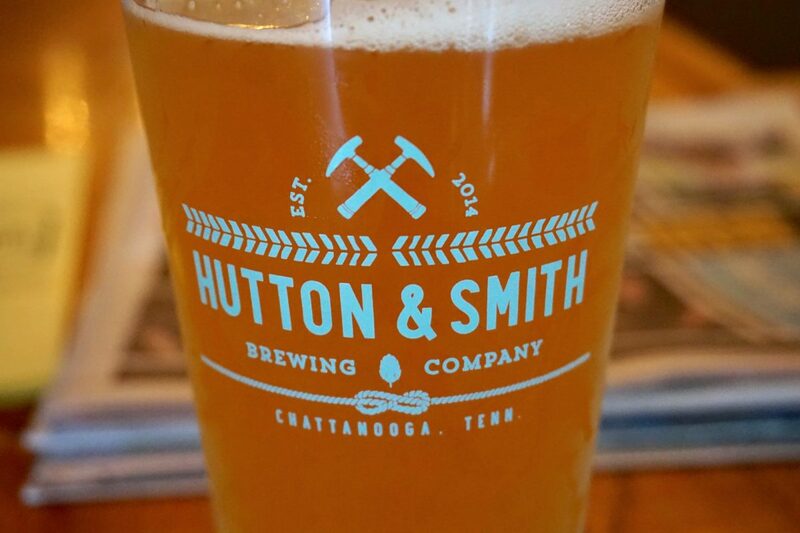 Hutton & Smith // I checked out H&S for the first time a few weeks ago and was pleasantly surprised with my beer. Actually, I’d tried their Rope Gun Rye at Southern Brewers Festival, which I didn’t think I’d enjoy, but it was quite nice, especially on a late summer day. This place is within walking distance from work, so it would make for a nice break after a long day or week. Update: they’ve recently started canning their beers and it made me so happy. I’m a huge fan of the Promenade IPA, Basecamp Blonde ale and the Belay On session ale. The Promenade is probably my favorite local beer. Terminal Brewhouse // Located right next to the historic Chattanooga Choo Choo, Terminal Brewhouse used to be a hotel next to the train depot (that is now the Choo Choo hotel). I tried their “Terminally Ale” American copper ale; it was malty, hoppy and had nice touches of citrus and pine to round it out. Next time I’ll try the White Shadow witbier. Heaven & Ale // They call it “beer elevated” for a reason. H&A only recently started selling their own brews, first at local events, then at their brewery in North Chattanooga. What I love about the brewery is its large, open space, where patrons can see the stills in all their glory. 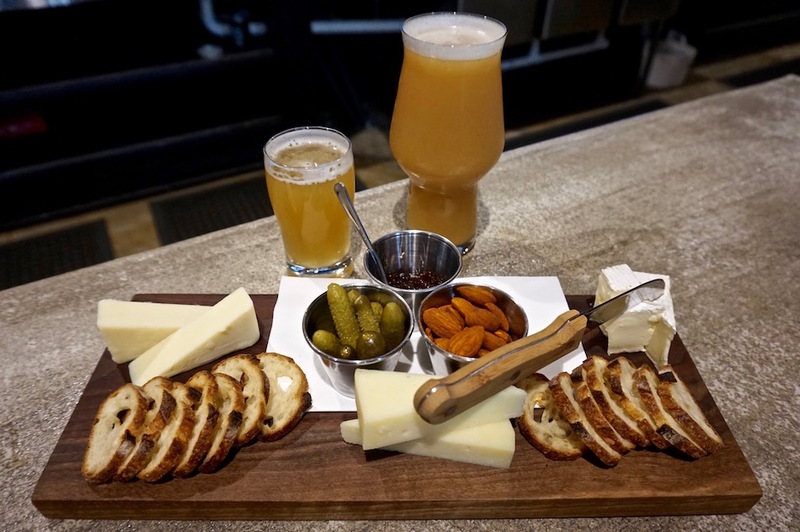 In addition to tasty beers, Heaven & Ale offers some bites to pair with beer. I personally really love their cheese board. OddStory Brewing Company // OddStory opened in late 2016 and became a local favorite quickly. 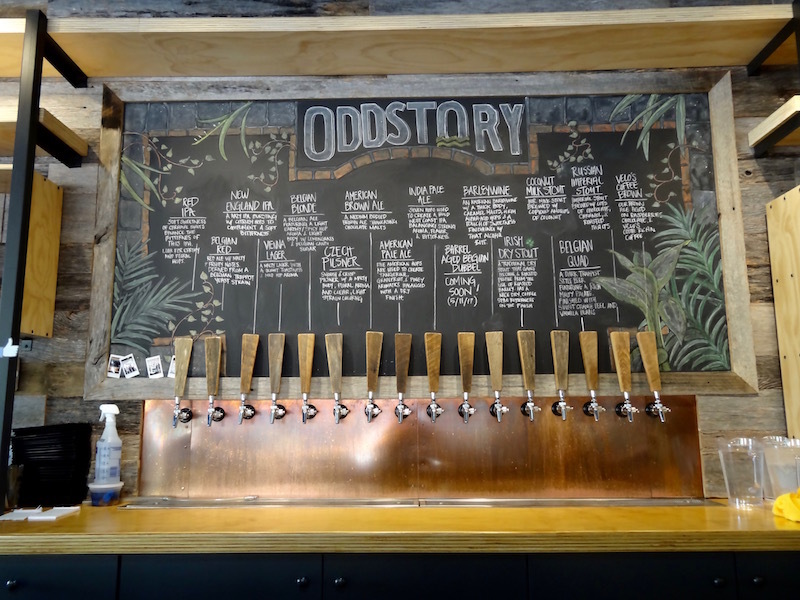 OddStory boasts 12 taps, three of which are its flagship brews: Vienna Lager, American Pale Ale and Belgian Blonde. Those are my kinds of beers, and I can totally vouch for the Vienna Lager. It’s fantastic and has very nice bubbles when poured. Grab a beer and a snack plate and enjoy the fresh air from the open bar. Brewhaus // It’s Chattanooga’s only German-American gastropub! You can’t have a good German restaurant without a solid beer selection. Pick from their local offerings, regional brews or other domestic favorites for a cold one to go with a plate of schnitzel or currywurst. Sometimes they even have the Chattahooligan Lager, which tastes great with schnitzel, for the record. Flying Squirrel // Really, what’s not to love about this place? A huge selection of craft beer on tap, plus beer specials on Thursday and Friday nights, makes Flying Squirrel a super hot spot for food and a drink in Chattanooga. Their food and cocktails are also amazing. Barley // This is one of the more recent additions to the Chattanooga beer scene (opened in summer 2017). Barley is a tap room and bottle shop that boasts more than 60 taps, a massive bottle selection, live music, local art and more. It’s situated on MLK Blvd., right near JJ’s Bohemia and The Coin Op arcade. It’s a great spot for beer newbies, as you’re bound to find something to enjoy in their vast selection. Naked River Brewing Co. // This one just opened up in November, and it’s quickly becoming a popular spot! Naked River boasts a variety of brews, ranging from hoppy IPAs to a Moon Pie stout. I’m excited to see what seasonal beers they crank out next year in the warmer weather. And you can bet I’ll be making some beer brownies with that Moon Pie stout! WanderLinger Brewing Co. // This is the latest brewery to hit Chattanooga (opened late November 2018). After nearly two years of work, I’m so glad WanderLinger is open for business and making some fantastic beers. I’m already a fan of their West Coast style IPA and lager. No matter what your beer taste is, there is somewhere in Chattanooga that will cater to it. If you’re feeling adventurous, you’ll have plenty of options to taste something new, too. To keep up with the best deals and get exclusive offers in Chattanooga, check out The House app and download it from the Apple App Store. Follow The House on Facebook, Twitter and Instagram for more updates and specials, too! The House App is also available in Knoxville, Birmingham and Huntsville! Where’s your favorite spot to grab a craft beer in Chattanooga?